Lets say in your network you have a lot of routers/switches and when you perform a traceroute you dont know what the hostname is of each device, or for example you need to know more information on the device and what IOS/firmware its running, and what ip addresses are assigned. For example I need to know what 192.168.1.1 is in my network, and say I have SNMP enabled on my devices we can use a mix of SNMPget and SNMPwalk to find more details. Now this can only be performed on linux, so in this case i am using ubuntu. Note in all the above cases the device has to have SNMP enabled, in corporate networks i would suggest enabling this feature however having a different read-only snmp string other than public due to security implications. Also it is important to know there is 3 types of SNMP versions v1,v2,v3, so you can set it up depending what the device supports. v2 of SNMP is quite common on many devices. 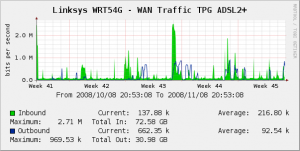 I started to learn a bit more about network monitoring tools and how to monitor the network. One of these tools is “Whats UpGold”, which can monitor uptime on devices, probe for interface bandwidth utilization and various other items. 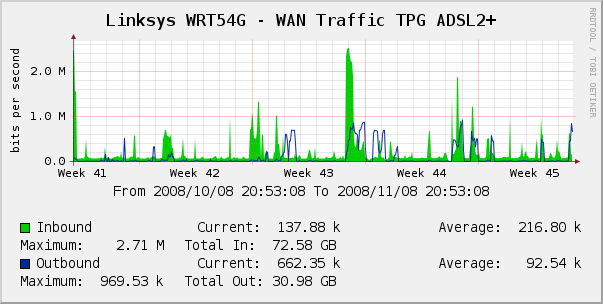 I have just begun using this software to monitor 300+ cisco devices for uptime, bandwidth utilisation, and recommend it highly. One thing about it I like, you can setup maps of a town/city/state with dot points and if a device goes down the dot shows red, and if its up its green, so you exactly know when/where it goes down. See website below for more info. Ipswitch WhatsUp Gold is the world’s leading network management software with over 70,000 networks reliably managed worldwide. 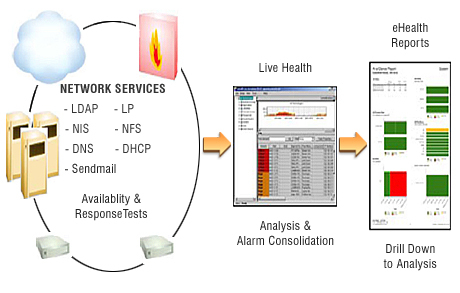 Built on a scalable and extensible architecture offering automated device discovery and network mapping, real-time SNMP and WMI monitoring, and versatile alerting, notification, and reporting functionality, WhatsUp Gold delivers 360° visibility, actionable intelligence, and complete control. Now if you have the $$$ this other superb tool offers far more in-depth monitoring called CA eHealth, it has a deeper inspection inside the network such as utilization, latency, uptime between interfaces, and capacity planning, and other very detailed reports, compared to WhatsUp Gold. Apparently this tool for enterprises costs around $500,000AUD to have it setup, which is why this is only used by the best of the best network operation centres to monitor large and complex networks. Help ensure the network performance and availability of LANs, WANs, routers, switches and the technologies and the network services provided over them. CA eHealth® Network Performance Manager provides comprehensive, vendor-independent technology that enables you to pinpoint areas of network performance degradation and generate real-time management reports to identify the causes of problems. Now you are probably wondering what about some FREE monitoring tools?! I personally use CACTI which is a fantastic monitoring tool for my home network, but can be used for business/large enterprise also. The tool is open source, and has a great support forum which is excellent. 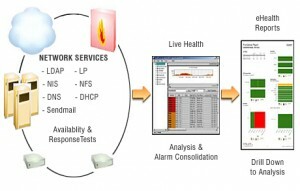 The tool is a network graphing solution and many examples can be found on its website what can be monitored.